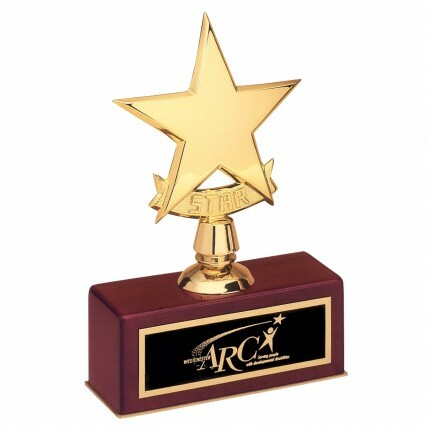 Our Engraved Small Gold Star Awards display a large amount of elegance. Don't be fooled by its size; though it may be small at approximately 5" tall and 7.5" wide, it still shines in a big way. The gold metal cast star is attached to a rosewood piano-finish base. Sometimes the best things do come in small packages!